Ameer Abdullah jumps over teammate Rex Burkhead in the first quarter. NEB: R.Burkhead 14-119; T.Martinez 18-40; A.Abdullah 7-28; B.Heard 5-24; I.Cross 1-13; TEAM 1-minus 1. OSU: B.Miller 16-186; C.Hyde 28-140; R.Smith 2-38; B.Buchanan 1-6; C.Brown 1-1. NEB: K.Bell 5-133; J.Turner 3-24; B.Cotton 2-19; B.Heard 1-20; A.Abdullah 1-8; A.Janovich 1-5; Q.Enunwa 1-3; R.Burkhead 1-2. OSU: C.Brown 3-35; J.Heuerman 2-53; N.Vannett 1-32; Z.Boren 1-7. 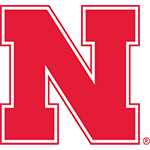 Huskers Fall at Ohio State: Nebraska scored 17 straight points to take a 17-7 lead, but No. 12 Ohio State’s offense got rolling in the second quarter and never slowed down in a 63-38 win over the No. 21 Huskers. Ohio State’s 63 points were the fourth-most against the Huskers in history and came even though NU’s defense held OSU without a first down in the first quarter. OSU's Bradley Roby intercepts a pass intended for Quincy Enunwa. UCLA made you wonder. Ohio State pretty much answered the question. This is Year Five and nights like Saturday aren’t supposed to happen. The Buckeyes’ spread offense had the Blackshirts looking downright Cosgrovian. You leave this game with serious doubts whether Pelini or Martinez will ever figure it out. Once the Buckeyes realized they didn’t have to throw to slice through the Black­shirts, it was game over. The Huskers were completely outclassed, undone and left in the dust by Braxton Miller. No process. No fixing us. No pointing the thumb. Just shock and disappointment. This was Urban Meyer’s statement game, and it wasn’t a pleasant statement for Nebraska or anyone else in the Big Ten.